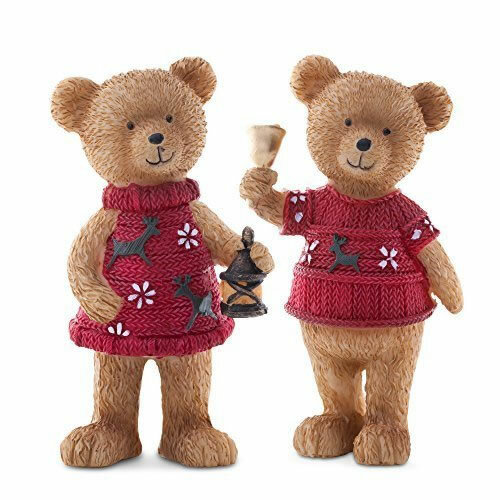 A cute pair of Christmas bears, ideal for mantelpiece, shelf or windowsill display. One of each included, one with a lantern and the other with a bell. Made from detailed and textured resin in traditional colours.